I never considered the importance of hobbies before I had my son and, frankly, I didn’t really have any. But in the aftermath of his birth and my subsequent depression I discovered I needed something just for me. Identity can be a really big issue for parents as our lives are changed so drastically when our children arrive, and this can feel so unsettling at best and frightening at it’s worse. I’ve lost count how many times I’ve promoted adult colouring. The benefits are huge – peaceful, great for practising mindfulness, you can do it with your kids, it’s cheap and you can do it on the go. Click on Six Reasons Adult Colouring Is Good For The Mind and check out this lovely range of reasonably priced adult colouring books. You can see my very beginner efforts on this Pinterest board or here. Card-making doesn’t need to be expensive and can actually save you money in the long run if you buy supplies in bulk, plus your friends and family will love the personal touch. This is something I’ve recently got into as an extension of card-making. So far I’m not great at it but I’m learning and it’s really fun to practice. I expected watercolouring to be an expensive hobby to start but beginners can source student grade supplies really cheaply. These watercolour pads, brushes and paints are more than good enough for anyone starting out. This is something I’ve always loved and have managed to find the time to get back into fiction now that Caterpillar is a little more independent. I’m currently reading In The Unlikely Event by Judy Blume (remember her from your teens? She’s back and writing for adults now), I’ll be reviewing it in a future post. As an avid reader, cook and crafter The Works is my go-to store for a huge selection of books and card-making supplies at incredibly reasonable prices. Not to mention the fact that they are fabulous for children’s activities too. In the lead up to big holiday periods I love to shop their extensive range of themed craft activities for kids, and their activity books are a must for travelling. Enter below for your chance to win a £10 gift card. I’d love to get a new cookbook! we love the slow cooker! did you know you can make cakes?! I always cook it really relaxes me and I love how everyone benefits from the end product! we like to cook cupcakes because decorating them lets everyone go wild and have fun! At the moment it is flapjack! 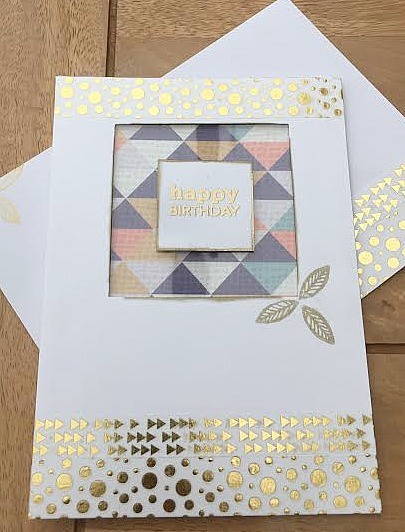 Card making is a great way to express your creativity. My mother-in-law used to make cards and always had orders from her friends for birthday / Christmas cards. We like to make cupcakes and biscuits. I have just started to teach my son to cook and we make something together every weekend.This weeks recipe was cheese scones and a cherry cake. I love cooking meatballs. Its fun and messy. I’m never far away from a book, and a lovely soak in the bath (with a book) is very soothing! We like to make cupcakes and brownies. Reading – takes me away to another world for a while. I dress make, cross stitch, knit and read all very relaxing. i’m currently making a crochet blanket from granny squares, i do from 1 to 3 a day depending on how i am feeling! 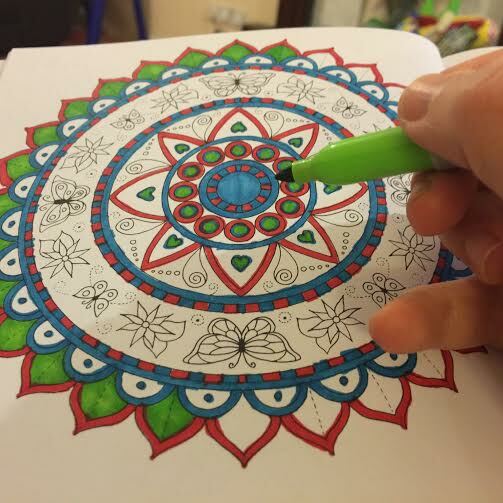 I loove adult coloring books! I like to do anything creative really. Cooking, photography, anything to make me feel calm and focused. I love walking – either in the park or on the beach. Nature is very calming and relaxing – even when the weather isn’t perfect. I also enjoy watercolour painting and origami. Reading often calms me and I love to curl up with a good novel. Also going on long walks. I like to walk a lot and also read when I can. I like the canvasses in The Works, good value and great for my resin paintings! Gardening because it is calming and soothing! cross stitch is a huge help for me when it comes to relaxing. seeing the finished project at the end give me a sense of pride! My number 1 is definitely reading, it transports me to somewhere else for a few hours! Also, I like planning and listing, we will organise a day out and I will spend hours researching the area, what to do etc. Using nice toiletries, and listening to music. Doing a jigsaw puzzle helps me unwind and relax. Reading such as self help books, autobiographies etc. Fitness dvd’s if I get a chance!